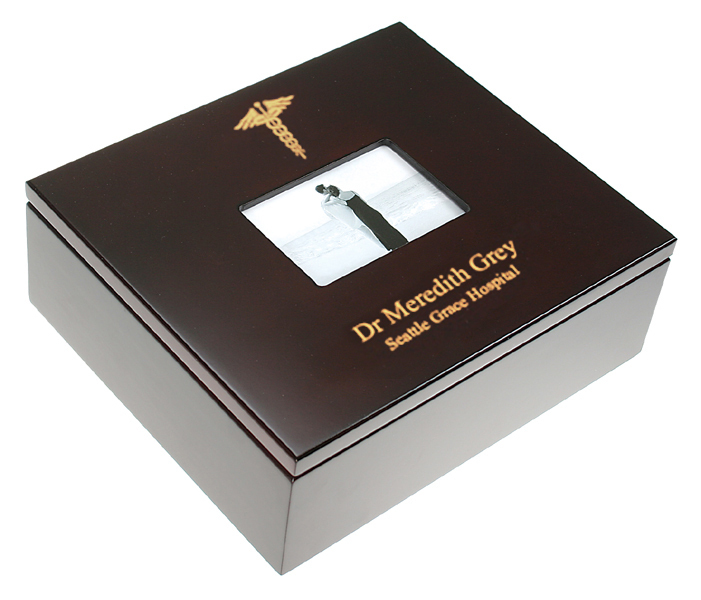 FEATURES/SPECS What better way to show your favorite doctor or nurse how much they mean to you than with this personalized photo frame treasure box? 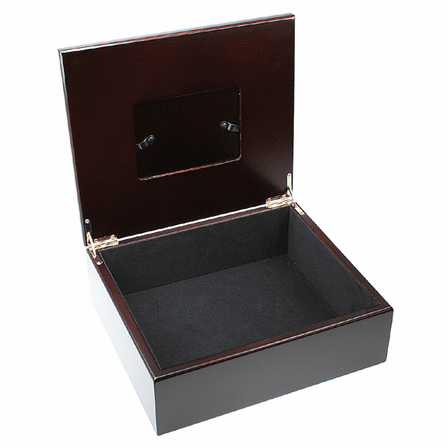 Made of smooth, satiny cherry finish wood, it has a photo frame center with a clear protective window, perfect for adding a special photograph. 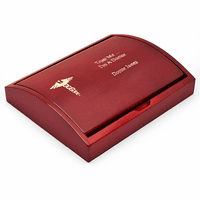 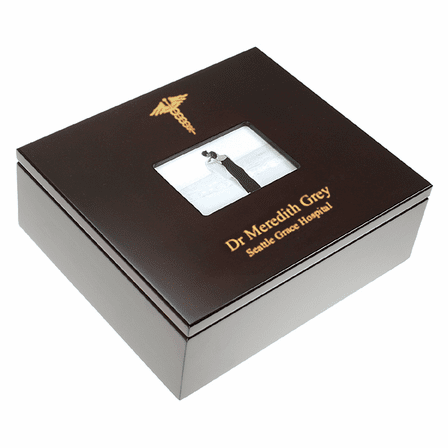 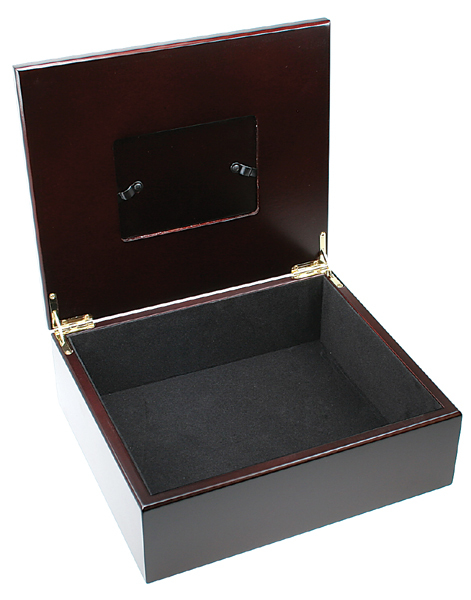 Below this, this keepsake box comes with a laser engraved medical emblem, the classic Caduceus symbol from Greek mythology. 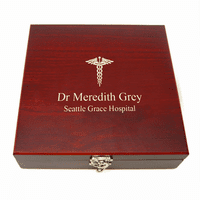 The Caduceus symbol consists of a staph with two intertwined serpents wrapped around it and a a pair of wings. 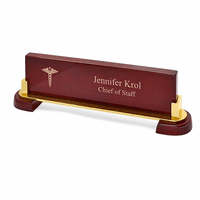 Below this emblem, you'll add your own custom inscription by checking the Personalize It box above - a great way to include a personal touch on your gift. 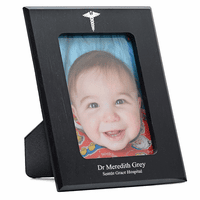 Inside, this personalized keepsake gift for doctors & nurses has a velvet lined interior, perfect for holding additional photos or small accessories and trinkets.